If you're on a low-carb diet or you're diabetic, you may sometimes notice a funny taste in your mouth when your blood sugar, also known as blood glucose, is low. It isn't bad breath from poor oral hygiene -- it's a result of your body not being able to burn carbohydrates for energy and burning fat instead. When you consume carbohydrates in things like breads, pasta, fruit and sweets, your body converts them to glucose, a type of sugar. Your body then burns the glucose to create energy. Simple carbohydrates such as fruits, refined sugar and white rice are converted to energy quickly and are used up just as quickly. Complex carbohydrates like whole grains give you longer-lasting energy and leave you feeling full longer. You should try to consume more complex than simple carbohydrates. 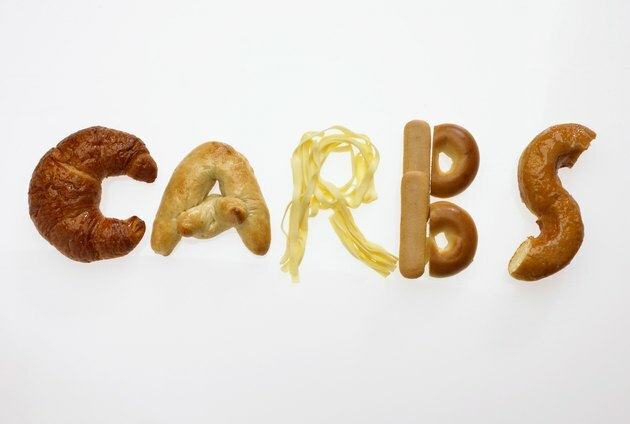 Your body needs a steady diet of carbohydrates because it doesn't store them like it does fat. If you haven't consumed enough carbohydrates to keep your blood glucose up, that's known as having low blood sugar or hypoclycemia. When that happens, your body begins burning fat for energy. People with diabetes who experience a drop in blood glucose and insulin often experience ketosis; in this case it's known as diabetic ketoacidosis. If you are experiencing diabetic ketosis it's important to eat or take a glucose tablet as soon as possible and call your doctor or an ambulance if your condition doesn't improve. People who are following a weight loss diet low in carbohydrates and high in protein also frequently experience ketosis as their bodies burn off the fat they're trying to lose. Ketosis may be seen as a sign that the diet is working because fat is clearly being burned off. People with anorexia may also experience ketosis because their bodies are starving. This is known as starvation ketosis. Other symptoms of low blood sugar include dizziness, headache, extreme hunger, moodiness, shakiness and sweating. Medical News Today: What is Ketosis? What is the Desired Level of Ketone for a Diet?